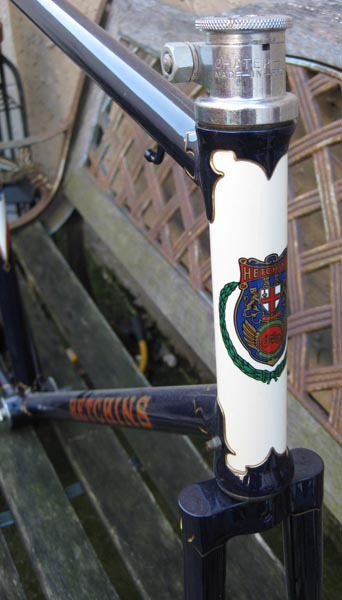 1937 Hetchins Brillant. 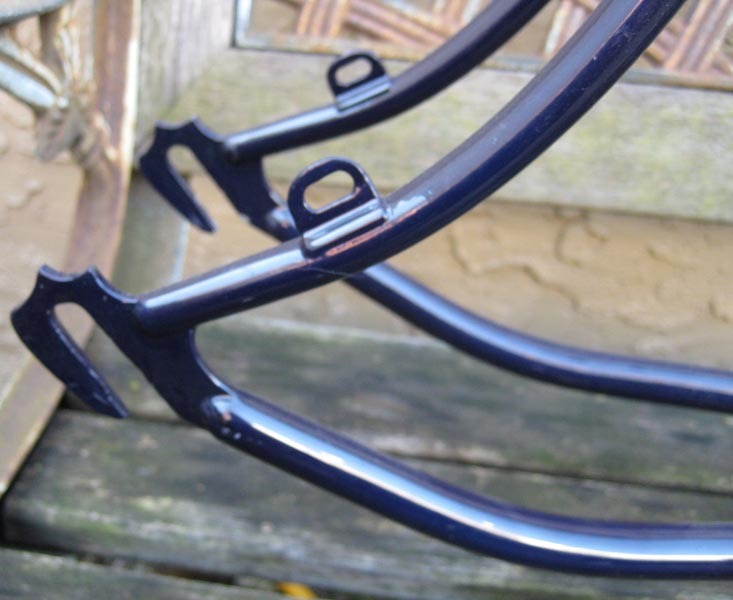 57cm center to center seattube and toptube. 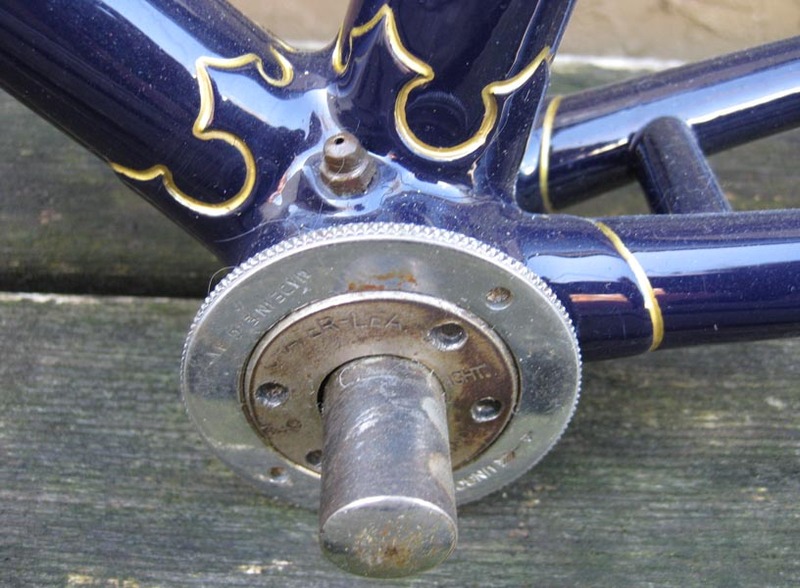 It was built for 26 1 1/4″ wheels(597 bead seat diameter). 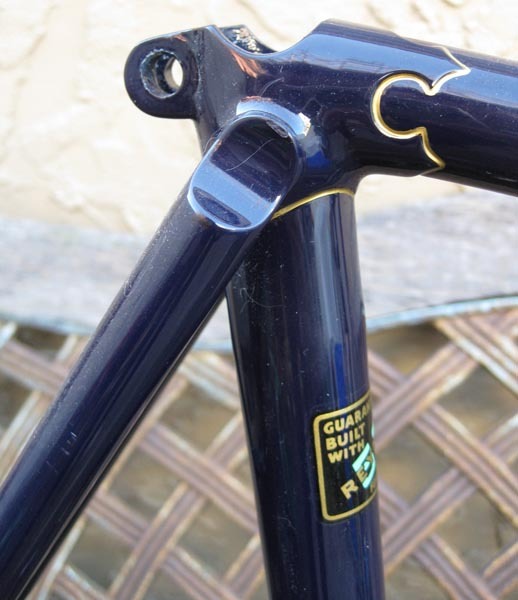 The frameset is outfitted with a Chater Lea floating race headset(minus the bearings) and a Chater Lea cottered bottom bracket. 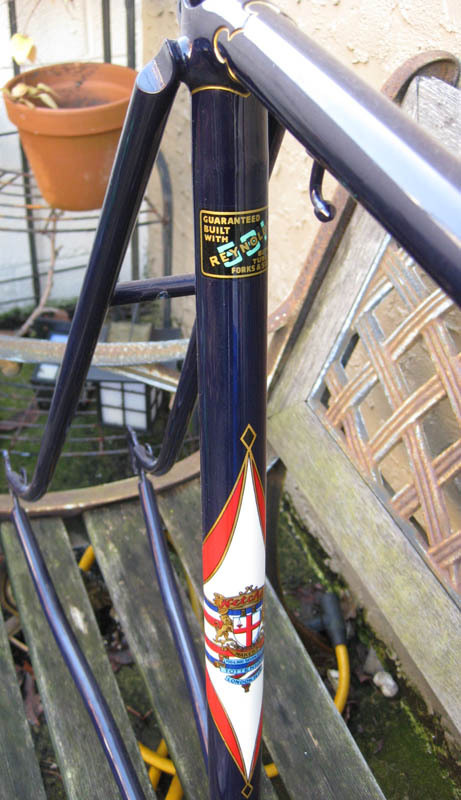 The paint restoration was done by Brian Bayliss a long time ago, maybe a decade??? by the previous owner. I bought it a couple years ago with full intention of building it up, I located cranks, wheels and other bits but realize I am not ever going to build up. In fact, it has not been built up since the paint restoration. The frame is a little dusty in the pictures, from sitting around for a couple years. It's a beauty. A shame I'm so damn short. 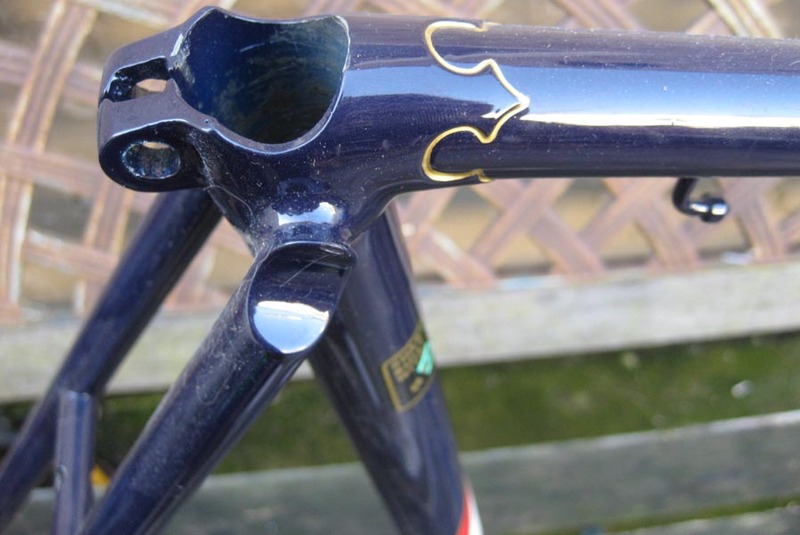 it is a beauty, shame I never built it up. 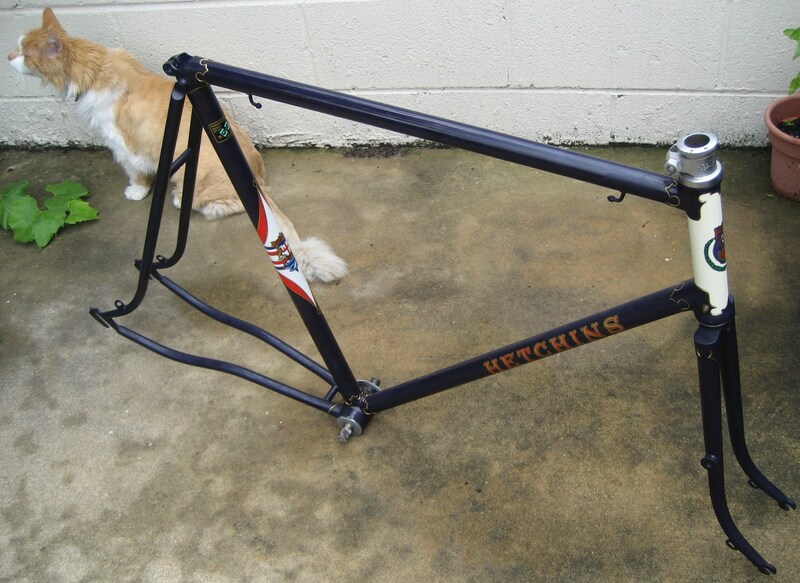 i would trade for a Herse or Singer Porteur frame. . . . 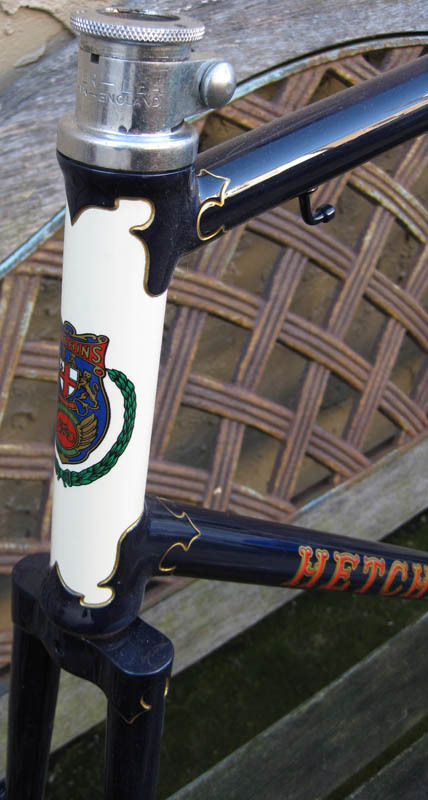 I had barely recovered form the Rene Herse, only to see this Hetchins. 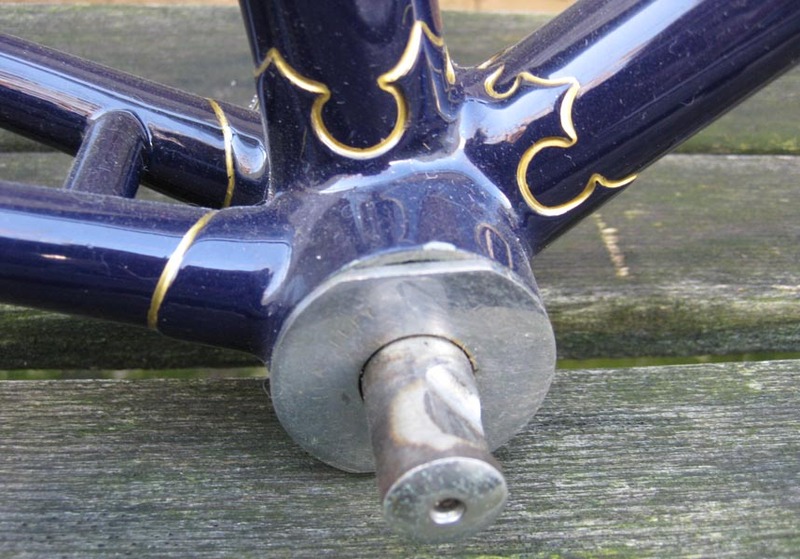 Impressive, and the lugs are to die for.